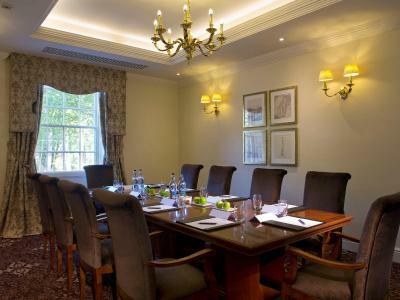 Lock in a great price for Bailbrook House Hotel - a Hand Picked Hotel – rated 8.9 by recent guests! Comfortable, nice breakfast, fresh milk and water everyday, convenient to city . Staff very nice. The hotel is perfectly located to go to Bath on foot, along the canal. A beautiful walk. A very warm welcome awaited us from Warwick, the Concierge, who escorted us to our rooms and explained the facilities available. Nothing was too much trouble. Lost of choice for breakfast the following morning either from the buffet bar, fresh fruits, yogurts, cheeses, cold meats, etc. Cooked to order meals were also available. The beds are extremely comfortable! Have stayed at this hotel before and would stay again. Buffet breakfast was superb with lots to chose from. The location was beautiful. Breakfast was plentiful , good selection and very enjoyable. Decor of room and standard of room. Staff friendly, hotel clean, us out side into Bath (3 & 3A). Breakfast was very good. Fresh milk each day in room. Thanks. Very comfortable room and general staff were good - efficient and friendly. The room was everything we wanted it to be. Service was excellent, clear information and helpful. Breakfast superb! The house is very classic and impressive. Very impressive. Service and quality are high. 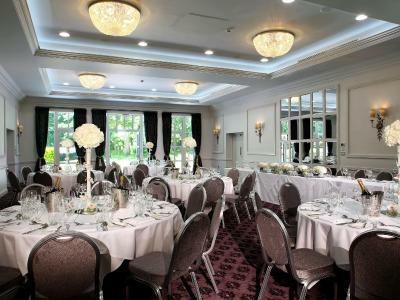 Bailbrook House Hotel - a Hand Picked Hotel This rating is a reflection of how the property compares to the industry standard when it comes to price, facilities and services available. It's based on a self-evaluation by the property. Use this rating to help choose your stay! Bailbrook House is a Grade II listed property, set within 20 acres of private grounds, with commanding views towards central Bath and the countryside. The GBP 10 million refurbishment project has created 81 stylish classic and executive bedrooms, located in Bailbrook Court, which is adjacent to the Mansion House. 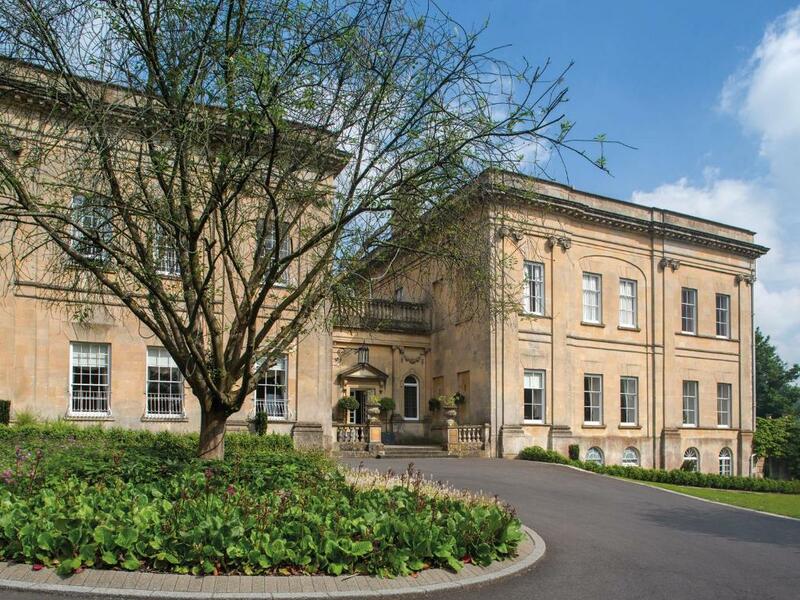 Bailbrook Court is also home to the Lansdown Restaurant, which serves a traditional breakfast. 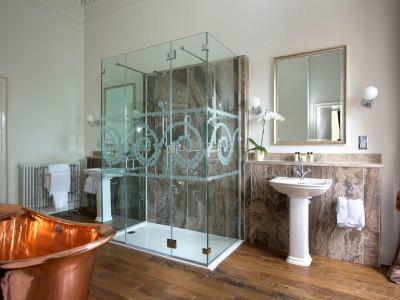 The sympathetically restored Mansion House features prestigious feature bedrooms. The building is also home to Cloisters, a fine dining restaurant which is located in the basement of the restored Mansion House. Cloisters takes advantage of the stunning architectural features of the historic building and the seating in the loggia provides views over the hotel's front lawn. 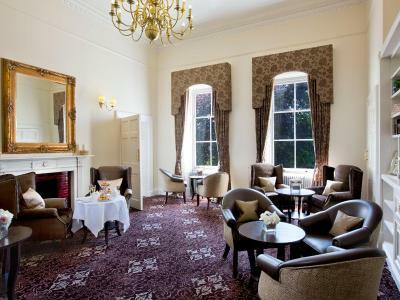 The Mansion House also offers 3 lounges and a conservatory bar, serving afternoon tea and meals. 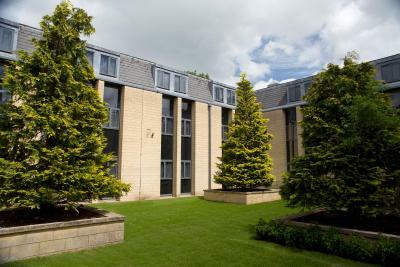 With landscaped gardens, these areas boast views of the Avon Valley, Bath's city center, and beyond. 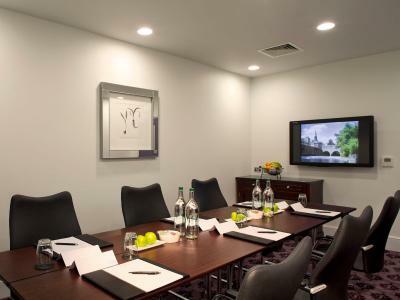 Guests can enjoy air conditioning and free Wi-Fi throughout, along with free onsite parking. Bath is just 1 and half miles away. When would you like to stay at Bailbrook House Hotel - a Hand Picked Hotel? 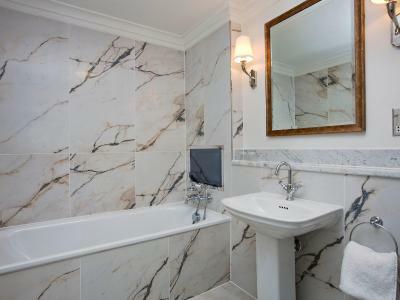 With free Wi-Fi, this room features a private bathroom and tea and coffee-making facilities. This room can accommodate up to 1 extra bed for a child 12 years old or under. 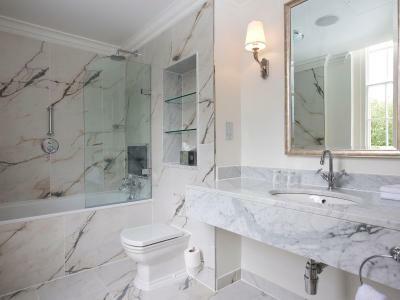 With free Wi-Fi, this room has a private bathroom and tea and coffee-making facilities. This room can accommodate up to 1 extra bed for a child 12 years old or under. 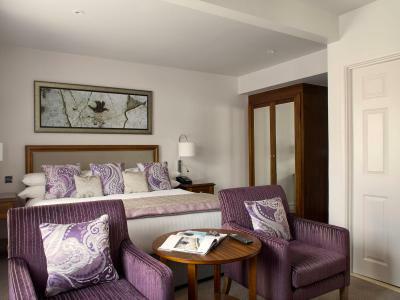 This individually designed room is in the historic Mansion House section of the hotel. With unique furnishings and artwork, it features a super king bed, a coffee machine, and air conditioning. Guests can enjoy breakfast in the Cloisters fine dining restaurant on Saturday or Sunday, or served to the room. This double room features air conditioning, electric kettle and DVD player. House Rules Bailbrook House Hotel - a Hand Picked Hotel takes special requests – add in the next step! 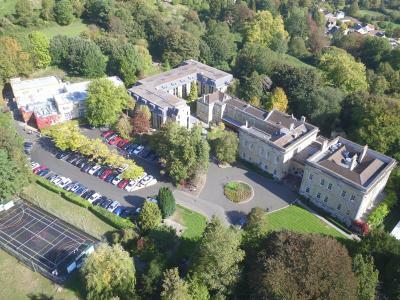 Bailbrook House Hotel - a Hand Picked Hotel accepts these cards and reserves the right to temporarily hold an amount prior to arrival. Children under 18 years old cannot stay in a room without an adult. Additional beds are available upon request. No phone the whole stay 4 nights, and oh well attitude. Says it’s the phone company! Cleaning hit and miss- not what I expect from a hotel of this caliber. Not all toiletries replaced everyday. Everything was great, very helpful staff, comfortable bed and very good service with a smile. The hotel is surrounded by beautiful grounds which are not utilized to the advantage of the hotel or the guests .. ie an outdoor coffee , bar area with seating on the loan would be amazing especially on a sunny , hot day . Excellent, friendly staff . Great location , good breakfast.Very peaceful. We liked everything here the stay was Lovely. The hotel was fantastic the staff were very friendly and helpful. The breakfast was superb with lots of choices to choose from it. Clean and tidy, friendly staff with good facilities. Air condition is unstable. Either too cold or too hot. Staffs are helpful. The place looks stunning. Staff were a credit to the hotel, very polite and helpful. Hotel is lovely, location is perfect for popping in to Bath city centre, staff are very friendly and helpful, rooms are spotless. Had a fantastic stay! Food and drink in conservatory wasn’t value for money. Good room, excellent staff and nice building. We had such a lovely, relaxing stay! The beds were so comfortable and we both loved the bath and robes. Breakfast was amazing with so much choice - great value for money. If it had a spa it would be perfect! A long walk into town. The staff, service and quality of food was exemplary.